Over the years, wood has always been one of the most favorite building materials for both residential and commercial buildings. It was the world’s second oldest material of construction by about 8,500 BC, second only to Brick. Deforestation wasn’t an issue back then; trees were felled to cater for this demand. All this changed when too many trees were cut especially around the Industrial Revolution and the aftermath of World War II. This is where reclaimed wood came into play—to conserve the environment by curbing deforestation and reducing waste. One sector that makes use of reclaimed wood is flooring of houses. People love the nature and beauty it brings to their indoors. If you have ever walked into a room with floors made from reclaimed hardwood, you know this is nothing but the truth. 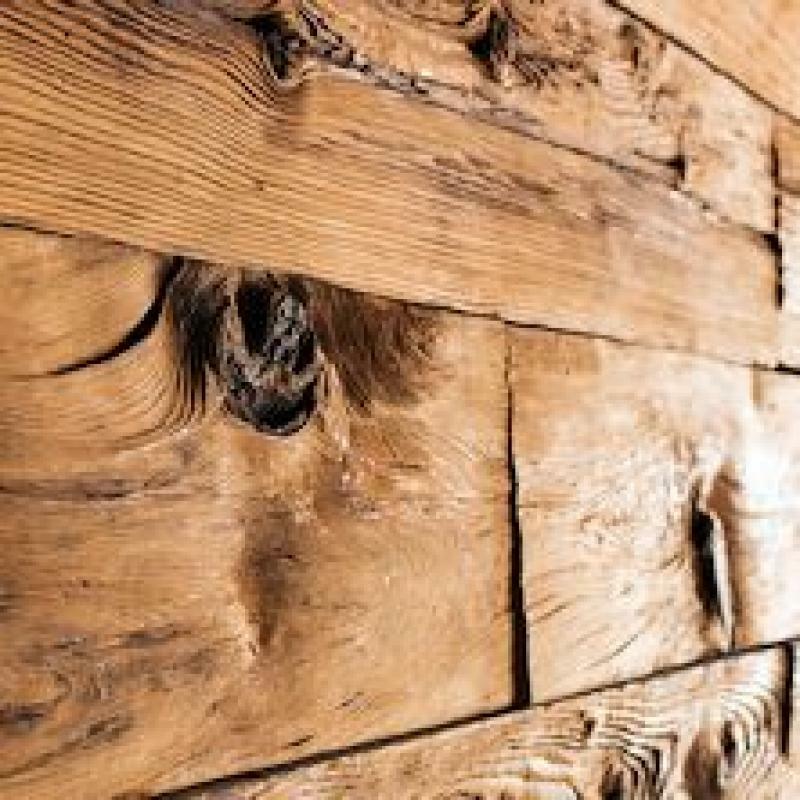 If you are considering using reclaimed wood for your floors in your upcoming building project, you might benefit from this post. We will highlight both the advantages and disadvantages of reclaimed wood hardwood flooring and hopefully help you make the right decision. Contrary to popular belief, reclaimed lumber lasts longer than virginwood. According to Sam Sikes, Old Barn Reclaimed Wood Co’s President, reclaimed lumber is more durable and stable compared to new timber belonging to the same species. The reason is that reclaimed wood has weathered every harsh condition possible and is, therefore, less likely to split. Additionally, reclaimed lumber has been harvested from competitive forest environments where the trees were left to grow to maturity. Mature trees have a distinct chemical composition that develops more heartwood—the dark, stable, and dense part of the tree that no longer transports nutrients and water from the soil to the different parts of the tree. Reclaimed lumber looks fantastic. We are talking about wide rings, appealing knots and plenty of unique markings that all work together to give your floors that unique and rustic look. The silver-grey natural patina draws the eye while the natural look adds up to the warmth of any home in an instant. Cool the atmosphere the same way 300 A/C units, running 20 hours each would. If you didn’t know trees were that important, now you do. In addition, if well harvested, reclaimed wood is a fantastic renewable energy resource that reduces extreme use of environmental hazards in the manufacture of new products and landfill waste. Thanks to deforestation, many tree species are now extinct or endangered. This means that using virgin woods limits you to the type of timber to use. Reclaimed wood, on the other hand, gives you an opportunity to try out many hardwood choices. Many people claim that their reclaimed hardwood floors possess a unique character that reflects some sort of history. The good feeling that your floors have this richness and value gives people a sense of pride and fulfillment. To help with this, reclaimed wood dealers nowadays even print the source of the wood on the lumber so you will always know whether yours came from an old barn, a ship, a decommissioned building, someone’s home, a pallet or crate. With all the aforementioned benefits, it is easy to see why reclaimed timber Big Timber Works would be a bit pricey. They cost higher than the regular wooden floors, partly because of the high demand and the broad manufacturing process involved. All the nail pulling, edge smoothening, and extra work to make it good for the customer requires quite a lot of work. Sometimes the wood pieces are inserted in the lumber. This process needs a different kind of equipment than the one used in normal wood flooring equipment. The popularity of reclaimed wood has attracted some shoddy businessmen who will sell you fake versions of the lumber claiming it is from legitimate sources. It is a common problem now and many have fallen victim to it. To avoid being another statistic, purchase your lumber from a reputable dealer who can provide certifications for such organizations like the Rainforest Alliance and the Forest Stewardship Council. Reclaimed lumber, like all other wood flooring options, is treated using paint and chemicals. These chemicals can contain lead, insecticides, preservatives, and organic compounds. To be safe, you might have to test the reclaimed wood for such toxins if you are looking to source it on your own. Additionally, learn more about the lumber’s past life to have a better understanding of the exact treatments the wood has undergone in the past. You are safe from this if you want to install processed lumber on your floors. Otherwise, if your choice of reclaimed lumber is the unprocessed version, there could be danger lurking somewhere nearby. You could get pricked by a nail or a sharp corner. Always wear gloves when handling unprocessed reclaimed wood. Like all other wooden floor options, reclaimed wood also suffers from pest infestation. Pests just love putting up shop in wood. Before you make that purchase, look through it to ascertain that it is indeed pest-free. Some of the tell-tale signs include the presence of bugs, asymmetrical holes in the wood or fragile wood that breaks apart when you apply some force to it. Be sure to use kiln-dried wood as a building material. Reclaimed timber may have begun as a way to conserve the environment but it is now much more than a fad. Its host of benefits and sustainable energy has made it one of the most preferred options in the Architecture and Design Industry. With it, our planet is safer and our buildings remain eye-catching.